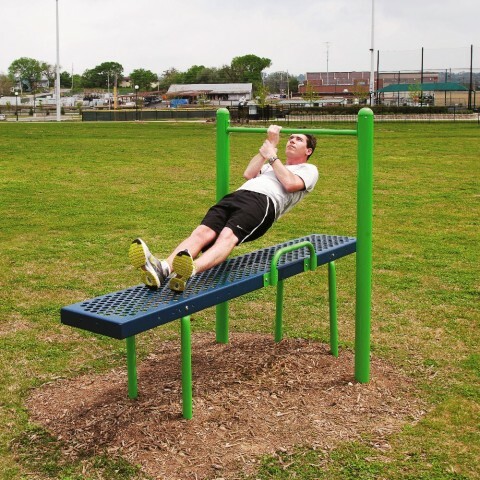 The Multigym combines the Push-Up, Chin-Up, and the Horizontal Chin-Up, for a challenging muscle work-out and requiring minimal space. 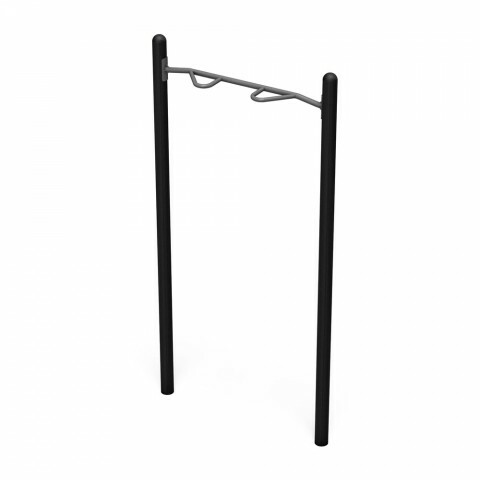 Designed for ages 13 and up. 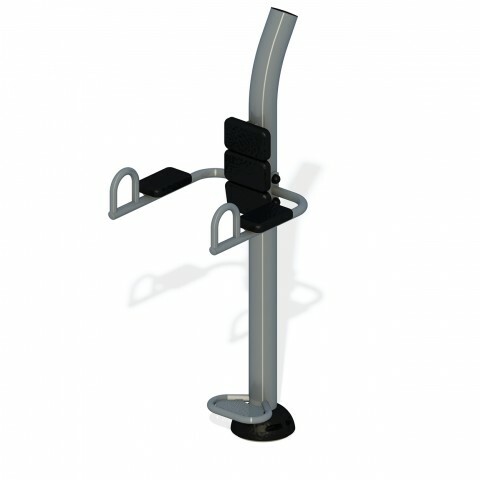 The workout stations are connected to provide ease of install as well as cost and space savings. 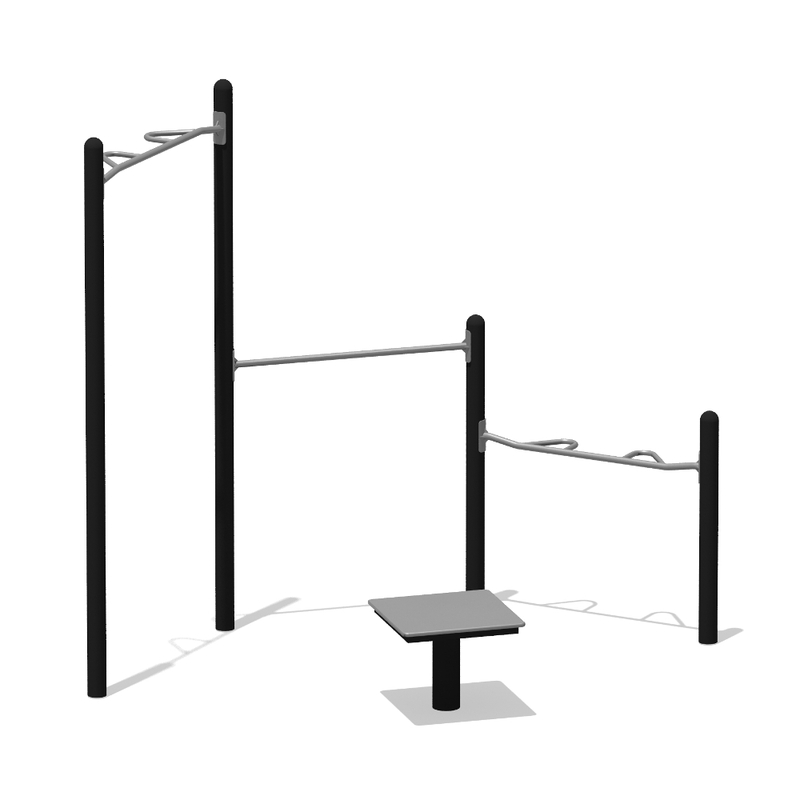 The MultiGym combines the Push-Up, Chin-Up, Horizontal Chin-Up, and Plyometric Box stations together to create a full body workout experience. 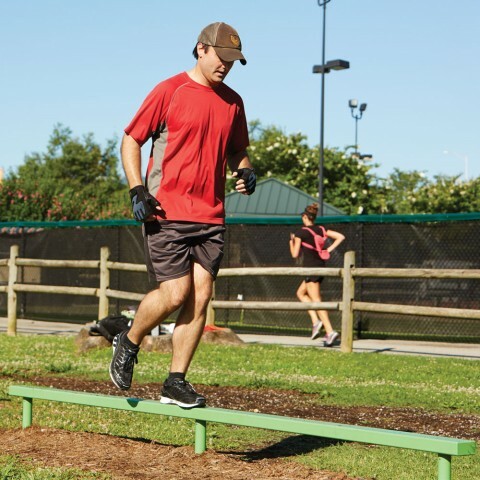 This solution is ideal for compact areas or as part of a larger Outdoor Fitness Park.